The Chimney Hill MUD Board of Directors typically meets twice per month. The official meeting notice and agenda lists the date, time and place of each Board meeting. The official meeting notices are posted within the District at 13255 Firebrick Dr., Houston, TX 77041. The offices of Coats Rose, P.C. Directions: From Eldridge and Highway 529 – go north on Eldridge Parkway and turn left (west) onto the asphalt road that exits from Traders Village. (Ignore the “Wrong Way” and “Do Not Enter” signs.) Follow the paved road back to the Wastewater Treatment Plant. The Board has designated the following locations as out of District meeting locations. Please see the meeting notice which is posted in Chimney Hill for details regarding specific meetings. The offices of A&S Engineering, Inc. 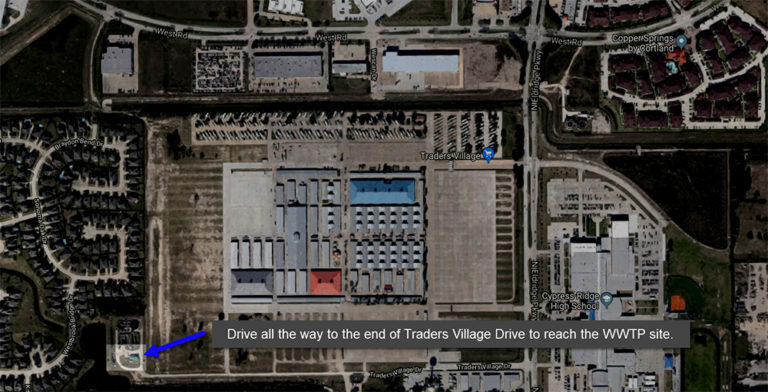 Directions: From the District – take US 290 southwest to Loop 610. Go south on Loop 610 to US 59. Take US 59 north toward downtown, but take the exit for Buffalo Speedway. Turn left (north) on Buffalo Speedway, and proceed under US59 to Richmond Avenue. Turn right (east) on Richmond Avenue. A&S Engineers will be on the right. Occasionally, the Board may conduct meetings within the boundaries of the District at the Community Center located at 13270 Smokey Trail Dr Houston, TX 77041. Please see the official meeting notice for information regarding specific meeting dates, times and locations.